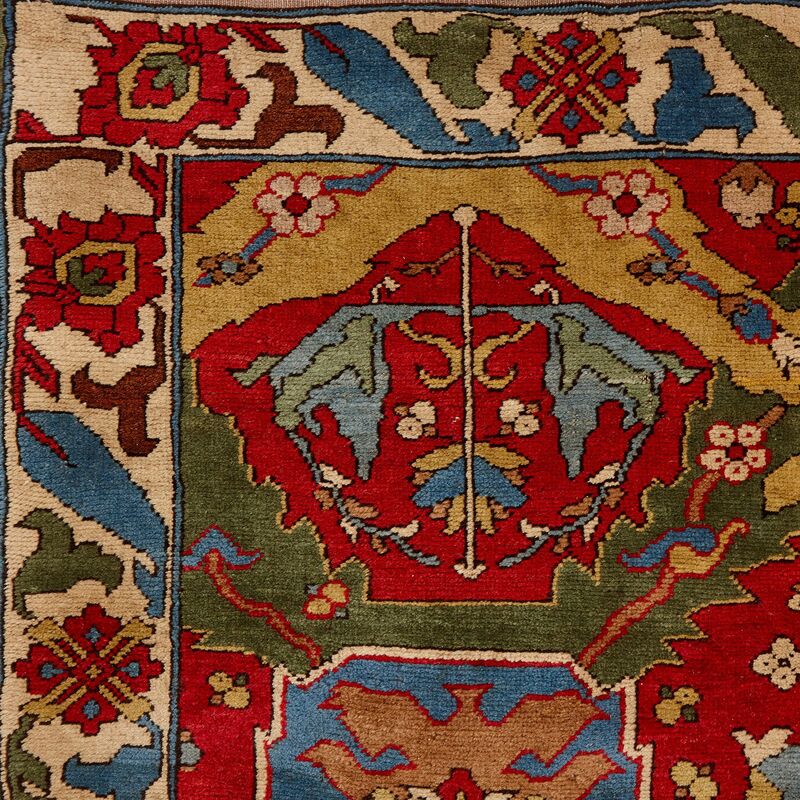 Designed in the style of antique Caucasian ‘dragon’ rugs, this beautiful carpet has been attributed to the prestigious workshop of Theodor Tuduc. 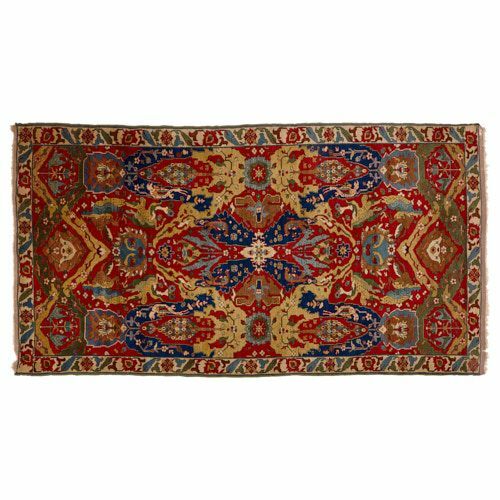 The carpet features a field, framed by a border decorated with blue, green and red floral motifs and stylised foliage against a yellow-white background. The carpet’s field is knotted with red, light blue and navy, green and white- and mustard-yellow colours. These depict stylised dragons, birds and animals, as well as flowers, trees, and foliage. 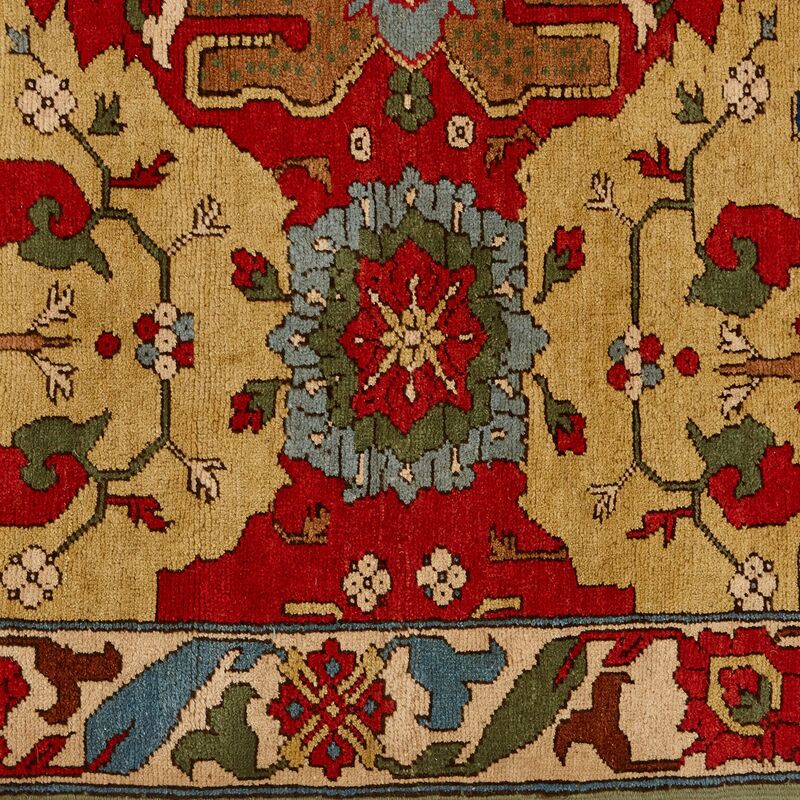 This is one of a small group of carpets which were knotted in the style of antique Caucasian ‘dragon’ rugs. 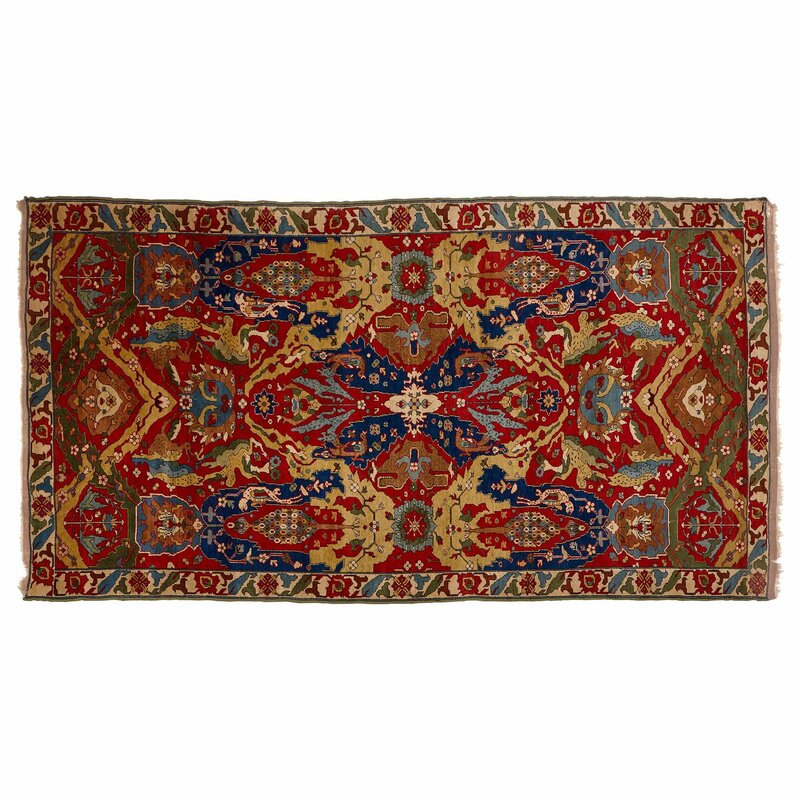 The group has been attributed to Theodor Tuduc, the famous Romanian rug restorer and maker. 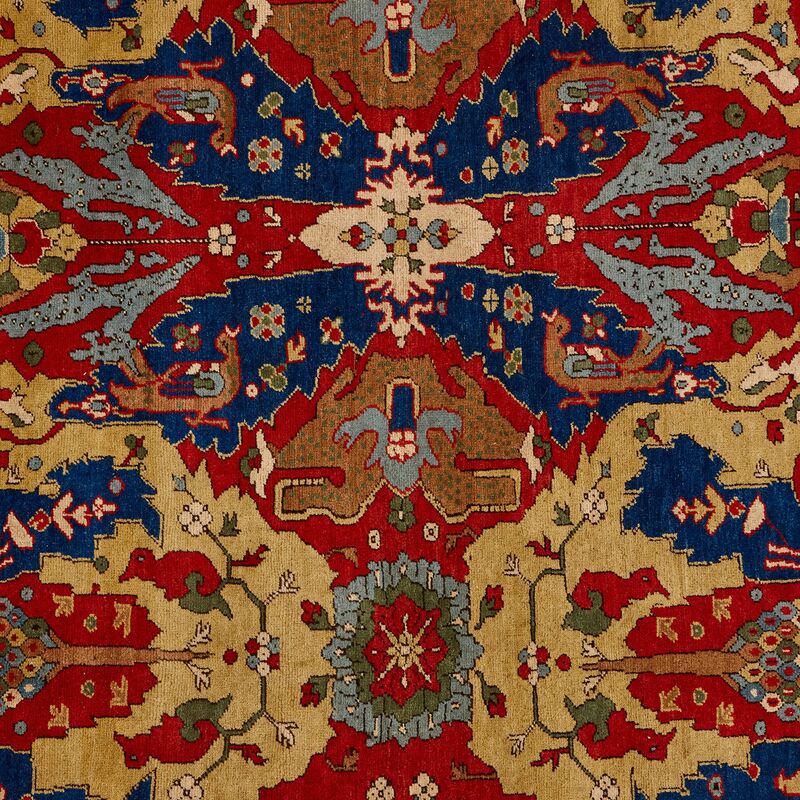 Tuduc became famous for his imitations of antique carpets, which were executed to an exceptionally high standard. These rugs so closely reproduced the originals that they became highly collectable pieces in themselves. For early Caucasian dragon carpets, see Serare Yetkin, Early Caucasian Carpets in Turkey, London, 1978, Vol. 1, pp. 8-40.